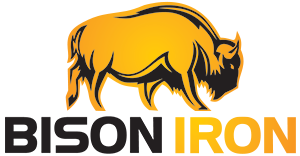 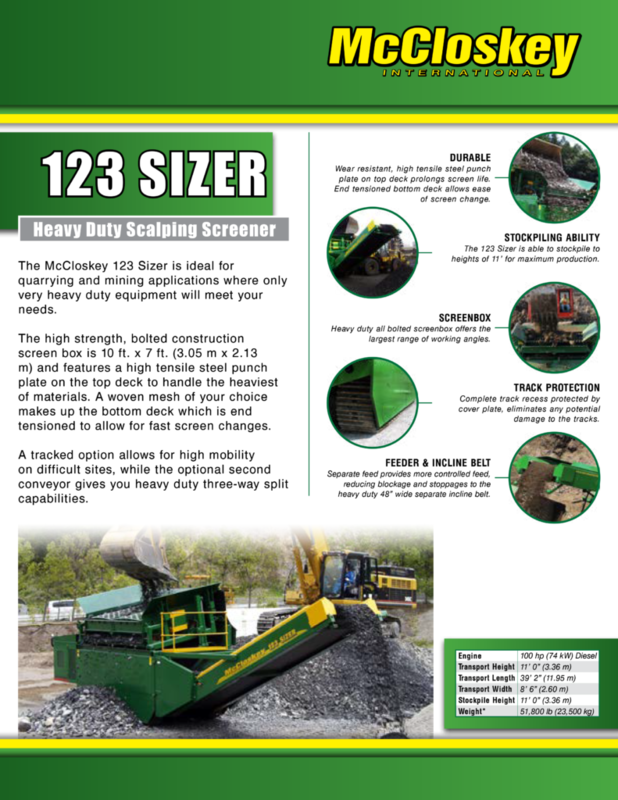 123 SIZER SCREENER – Bison Iron Corp. 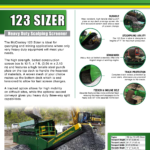 The McCloskey™ 123 Sizer is ideal for quarrying and mining applications where only very heavy duty equipment will meet your needs. 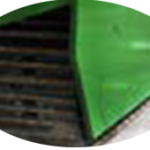 The high strength, bolted construction screen box is 10 ft. x 7 ft. (3.05 m x 2.13m) and features a high tensile steel punch plate on the top deck to handle the heaviest of materials. 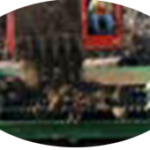 A woven mesh of your choice makes up the bottom deck which is end tensioned to allow for fast screen changes. 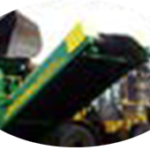 Wear resistant, high tensile steel punch plate on top deck prolongs screen life. 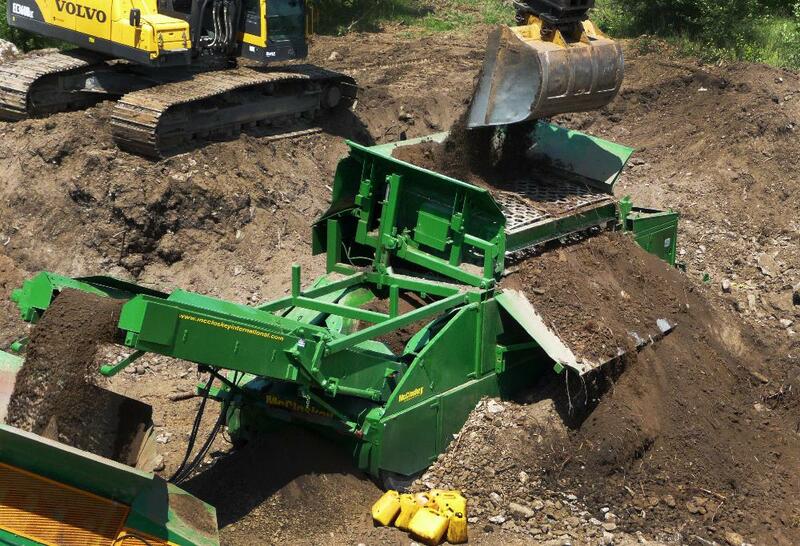 End tensioned bottom deck allows ease of screen change. 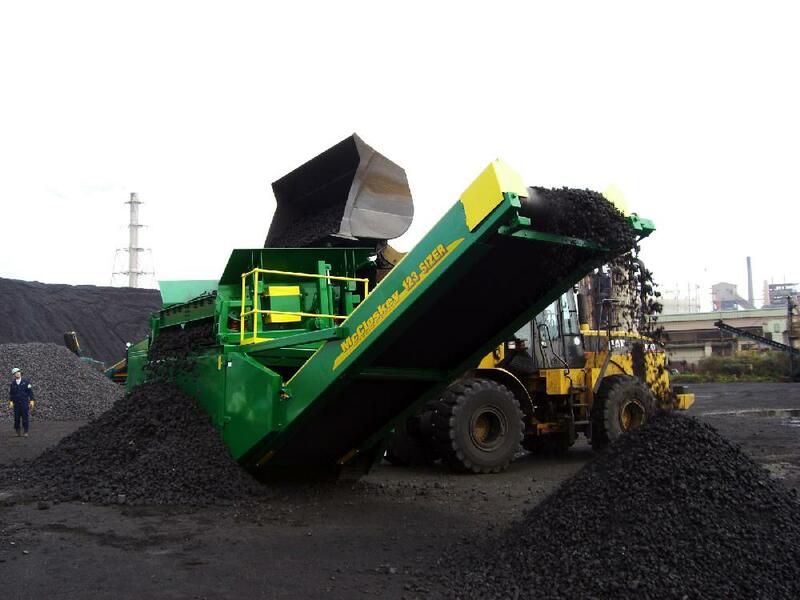 The 123 Sizer is able to stockpile to heights of 11’ for maximum production. 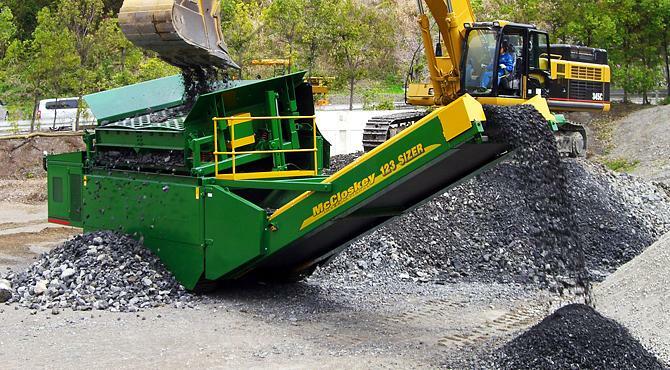 Heavy duty all bolted screenbox offers the largest range of working angles. 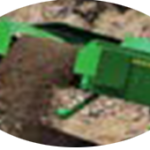 Complete track recess protected by cover plate, eliminates any potential damage to the tracks. 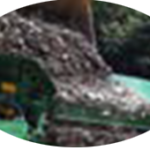 Separate feed provides more controlled feed, reducing blockage and stoppages to the heavy duty 48” wide separate incline belt.